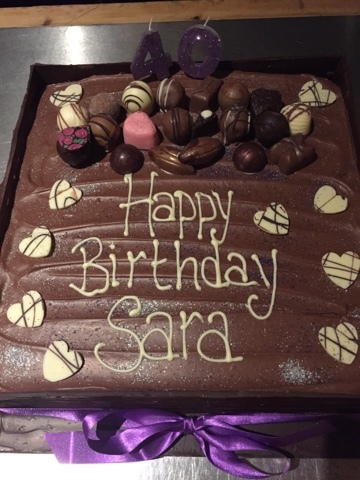 Last Saturday night Stuart and I had the pleasure of helping Sara celebrate her 40th birthday at the Yorkshire Grey. Jane threw a great bash with plenty of booze, music that you can dance to, a lovely chocolate cake and a great mixed crowd. We got to meet all our Calabria Road neighbours again - Harry and Alice, Graham and Jonathan et al. and to hear about dog walker Bobbie and his husband.